Ah, the crisp fall air. It’s lovely to begin to see the leaves change colors and the sweaters and boots come out of storage, but this time of year also means it’s the beginning of the busy holiday season. First comes Halloween, then comes Thanksgiving, Christmas and New Year’s Eve. Before we know it, it will all be over, so being proactive and having the right materials can help us slow down and enjoy the fun moments to come in the next few months. Let’s take a few easy steps to ensure that we will be able to: be the host with the most, clean up after even the messiest ghost, and enjoy our candy-filled Halloween celebrations. We’ve prepared some tips for you to keep your house looking BOO!-tiful which you can use from Halloween right up until New Year’s Day. From keeping your decorations in tip-top shape to entertaining without a mess, we’ve got you covered. 303® Products has a wide range of premium products designed to keep the things you’re passionate about looking and performing like new—because anything less than impeccable just isn’t enough. For more than 30 years, our top of the line cleaners and protectants have been exceeding the high expectations of even our most fervent users. To get into the Halloween spirit, most people like to deck their yard out with the coolest, most eye-catching ghosts, witches, and fake tombstones. 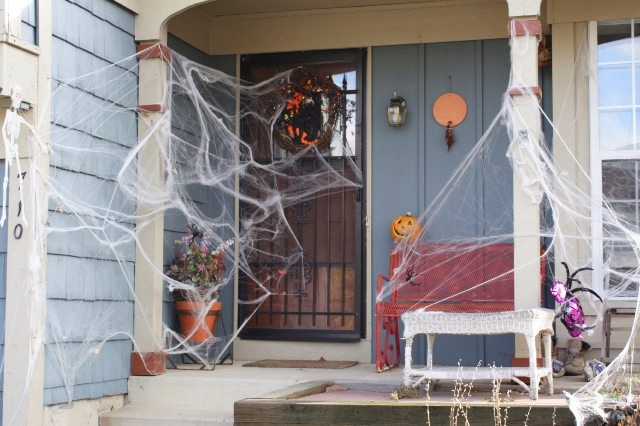 Spooking up the neighborhood and creating a festive atmosphere is fun but decorations can often lose their luster during their time outside year after year. 303 Protectant can liven up last year’s dull decorations and protect your new ones by preventing colors from fading. Even items that may seem difficult to protect, such as inflatables, can look like new again. 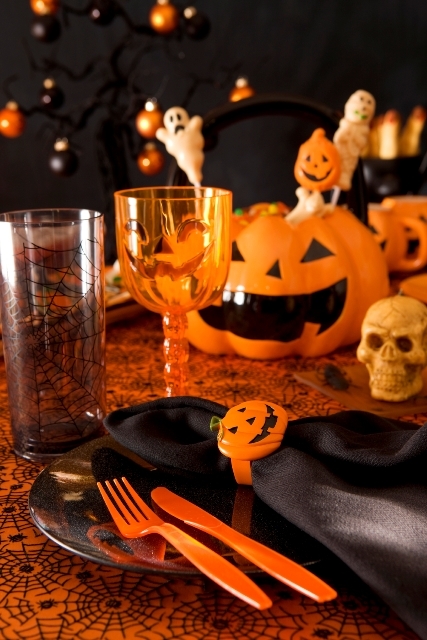 Halloween is a fun-filled holiday and should be enjoyed without looming worries of spills and messes. 303 Multi-Surface Cleaner­ and 303 Spot Cleaner are your superheroes in disguise! Don’t fret over dirt, candy, and punch stains on your carpets and surfaces. After your party, grab 303 Multi-Surface Cleaner for the ultimate cleaning power with no residue left behind. For difficult dirt, oil, and grease stains turn to 303 Spot Cleaner. With this duo, all you’ll have to worry about is refilling the candy bucket. Keep your outdoor area clean, too! If your outdoor furniture will also be susceptible to spills and stains this holiday season, 303 Fabric Guard is a great choice to ensure it looks good as new when the celebrations are over. Recommended by leading fabric manufacturer Sunbrella, 303 Fabric Guard will restore water repellency of your outdoor pillows, cushions, rugs, and umbrellas to factory-new levels. For your outdoor furniture’s frames, whether plastic or metal, 303 Protectant will keep them looking newer throughout the season. Your patio will be ready to impress! Following these tips will keep your house in tip-top shape both inside and out. No matter if it’s sprucing up your decorations, cleaning messy surfaces, or preserving your pristine patios, 303 will always have your back. For more information about our products, please visit the Its In The Details Blog. Enjoy a safe and happy Halloween!